Busted. Alexis Dubois just got caught shoplifting a cheap tube of lipstick at the local SmartMart. She doesn't know what's worse—disappointing her overbearing beauty-pageant-obsessed mother for the zillionth time…or her punishment. Because Lex is forced to spend her summer working at the store, where the only things stranger than the staff are the customers. Now Lex is stuck in the bizarro world of big-box retail. Coupon cutters, jerk customers, and learning exactly what a "Code B" really is (ew). And for added awkwardness, her new supervisor is the totally cute—and adorably geeky—Noah Grayson. Trying to balance her out-of-control mother, her pitching position on the softball team, and her secret crush on the school geek makes for one crazy summer. But ultimately, could the worst job in the world be the best thing that ever happened to her? I saw this book on Goodreads not too long ago and thought that the whole premise sounded really great. After reading Nick's review a couple of weeks ago, I decided to jump right in. 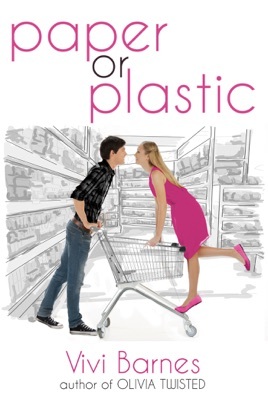 Paper or Plastic was such cute, sweet, feel-good young adult romance that left me with a smile on my face. Alexis had her summer break all planned out. She planned on volunteering at a youth softball camp and hanging out with her friends, Syd, Court, and Bryce, at the pool. A lazy summer. All of this fell through when she and her friends got caught trying to steal lipstick from SmartMart. Instead of pressing charges, the store manager offers her a deal — work at SmartMart for the summer in exchange for a clean record. Her mother takes the deal and Alexis is less than thrilled. On her first day at SmartMart, she meets several of her coworkers — Bessie, an older woman who is in charge of training Lexie, Ruthie, the enthusiastic greeter who has some limitations, and Noah Grayson, her manager and high school classmate. At school, Noah keeps to himself and is considered a geek. An incident involving Noah and Lexie's best friend that occurred two years made Lexie and Noah mortal enemies. Now, she's being forced to work with him. But she soon finds out that he's not as bad as she thought. She actually starts to like her sweet boss. Meredith, Lexie's mom, is a former runner-up for the Miss Florida and imposes her obsession with pageants on her children. Her younger sister, Aurora, is very involved in pageants and therefore, the apple of Meredith's eye, whereas Lexie is more focused on softball. Lexie and her mom aren't very close since her mom is so involve with Aurora's pageants. I was so frustrated with the way Meredith treated Lexie. She expected her to be a Aurura's pageants, forcing Lexie to call into work. But at the same time she was trying to teach Lexie accountability and responsibility with a job. I found Meredith to be very selfish and shallow, and it made me really hard to like her. The mom/daughter dynamic was one of many problems the characters faced in this book. Speaking of problems, Noah and Alexis have them. I really liked Noah. He had the world on his shoulders, yet was so kind and thoughtful to everyone. Noah is from a less affluent family. He works two jobs to help support his mother and little sister, who also happens to be involved in pageants. His work ethnic and family man attitude made me love him even more than I already did. In addition to her mother problems, Lexie's grandmother was recently diagnosed with Alzheimer's disease and moved in with Lexie's family. Throughout the book, Lexie is struggling with coming to terms that her spunky and sassy grandma is losing her reality. I really liked the secondary characters in this book, namely all of the people at SmartMart. I also liked that the author had the characters working through real family issues. I liked the progression of Noah and Lexie's relationship. Their friendship and romance was sweet, natural and flowed beautifully. I found myself smiling most of the time reading this one. I did think that the book was a little on the long side and felt like the ending was a little overly dramatic, but I still liked this one! sure to entertain readers looking for characters that feel familiar and possible. 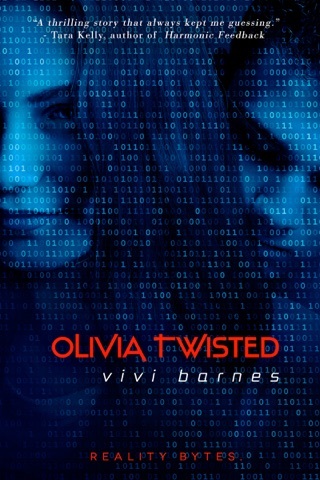 A fun, fast-paced teen romance full of heart, light and enjoyable characters, Vivi Barnes has added in some serious themes that add to, rather than detract from the story. Alexis is caught shoplifting but in exchange for not calling the police, she is expected to work at the SmartMart by the store’s owner. Not particularly interested in the other employees of the supermarket, she’s a bit of a tough pill at first, until the quirkiness and characters who work there start to befriend her. From there, Alexis shows the girl she was meant to be: funny, honest, loving and caring; sure she had those teen moments, but overall she was a young girl learning her way in the world. Her manager Noah is one of the reasons for this change: first offering friendship and showing Alexis that it is possible to be a teen and still think of others first, his character was lovely. Working multiple hours and jobs he’s earning extra money so his little sister can continue to enter beauty pageants: her favorite hobby. Noah never gets resentful or fussy about doing all that work, even as Barnes does add in some of the ‘not so wonderful’ elements about the pageant industry. These are mentioned, never dwelled on, but give readers something more to think about. Other characters in the grocers are introduced, with bits about their lives, their quirks and even their friendship with Alexis. They added depth and a fullness, and brought some new issues for readers: showing that not all is as it seems. Fortunately, Barnes avoids the love triangle in this: while Alexis does have some doubts about her choice of Noah, it is more a loyalty to another friend who believes Noah has mistreated him than a triangle. As Alexis determines what it is she really wants, the relationship between the two really starts to blossom and become a romance, fully grounded in friendship. A fun, quick read that isn’t as fluffy as others I have read with teens at the center: this story is sure to entertain readers looking for characters that feel familiar and possible. This book stole my heart! When Lex gets caught shoplifting at the local SmartMart, she gets roped into working there for the summer, disrupting her other plans and forcing her to wear the none-too-attractive SmartMart uniform when she should be sleeping late and hanging out with her friends. Things seem to be looking up, though, when she spots the hot, young manager, but her bad luck returns full force when she realizes he's the guy from school that all her friends hate. The Verdict: I've read some great books directed at younger readers, lately, and I wasn't sure my luck would hold out, but Paper or Plastic stole my heart! 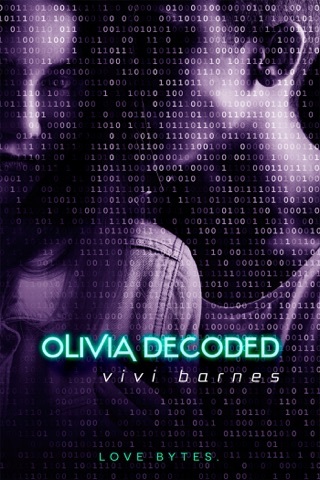 Lexi is living a rather typical teenage life, and like many teenagers, she's done something incredibly stupid. But instead of being carted off to jail, the store manager she stole from offers her the last summer job in the world that she wants, and her mother forces her to take it. She was really kind of snooty about working there, but remembering my own teenage retail experience, I get it. I used to dread seeing friends from school come into our store, like working was something to be embarrassed about, and Lex was no different. The cast of characters around her was entertaining, to say the least. Her mother is obsessed with child beauty pageants and schedules her life around entering Lex's little sister in every competition that comes along. Lex's grandmother is the grandmother everyone wishes they had, except now her Alzheimer's is beginning to show, and Lex is losing the one person in her home who she feels like gets her. Then there are the store employees, from super sweet and responsible Noah to Ruthie, a girl who's antics as entertaining and exasperating, and while her condition was never spelled out, one has to assume she's got some special needs. The conflict for Lex is Noah. He's hot, but he's a bit stiff about things, and her friends hate him. But their reasoning is actually rather justified on some level, since Noah is supposedly the one who reported them for vandalism and caused them all kinds of trouble. The grudge is old, but it's definitely there, and as Lex begins to fall for Noah, she finds herself unable to choose sides. Noah's pretty incredible, and Lex begins to see that the more she's around him. His home life is far from great, so he works hard to provide for his mother and sister, and also to get a head start on providing a more stable life when he's out of high school. The goody two shoes that Lex thinks she sees is actually pretty accurate, but once she sees everything he's up against, it makes sense to her. Lex was every bit as confusing and frustrating as any teenage girl, judging others, worried about them judging her, and then having to see everything in a new light when she learns the truth. But through each awkward scene and bad choice of words, she grows a little, becoming someone deserving of kind-hearted Noah and more confident in her own decisions. If I really think about it, Paper or Plastic handles some pretty serious topics — Alzheimer's, abuse, that craziness that is the world of child pageants. But it's done in a way that meshes with the lighter parts of the story, adding to the character without overshadowing the happy, funny parts. While it's certainly a lighthearted read, there are some intense moments and emotions, and I would never classify it as fluff. But through all that, it's still the cute, sweet love story I wanted, with all the insecurity and uncertainty that is such a part of being a teen, and I would definitely recommend it to readers of all ages. ***FicCentral received this book from YA Bound Book Tours for free in exchange for an honest review.